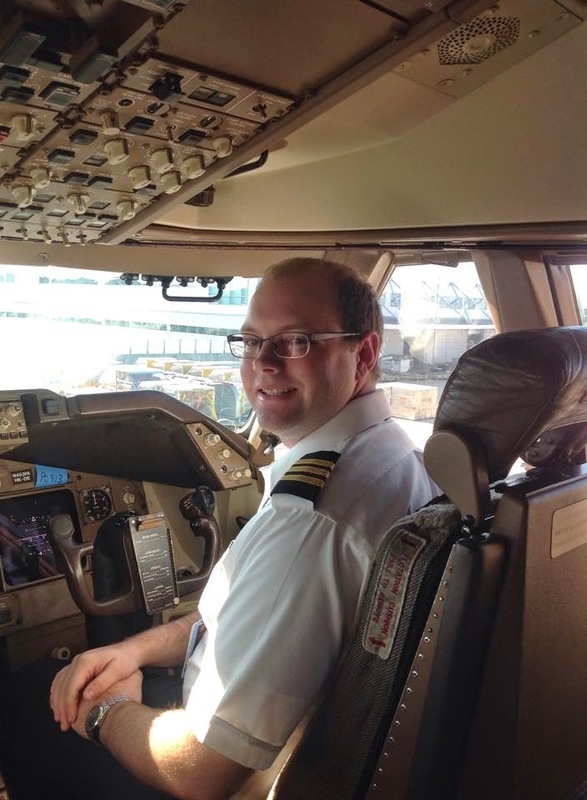 "Daniel Sallee on his first Boeing 747 flight from Cincinnati to Incheon South Korea. He is off to Hong Kong on his next leg." "The pacific is much quieter than Atlantic flying, that's nice. Overall I have always wanted to do pacific flying so this is pretty enjoyable. 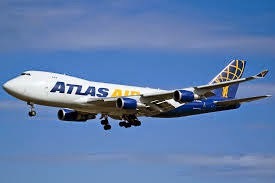 Also, I've wanted to fly the 747 since I was really young because my grandpa flew it. 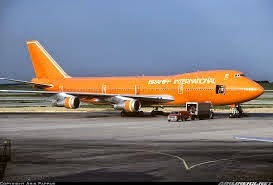 We had models around of that big Braniff orange 747 and I always thought it was the coolest airplane in the world. And I have to say I do love it. It's got so much room for the pilots, great rest facilities and flies and lands better than anything else I've flown." And what could be better for today and a Happy Halloween to all, is a memory of the great pumpkin! Yes, Braniff's orange whale was called the pumpkin. Daniel is now flying with Altas and they are lucky to have such a qualified pilot. Daniel and his dad, Andy, come from a family of flyers. 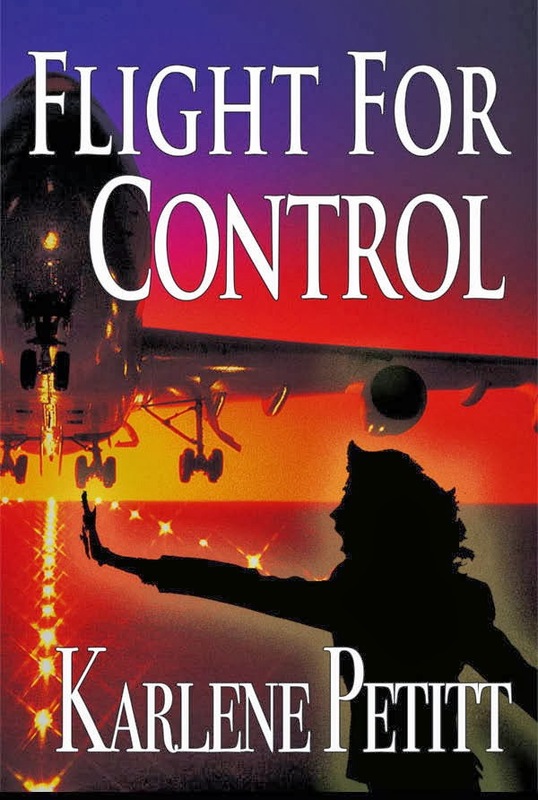 That grandpa he spoke of, Captain Jack Sallee, I honored my first novel, Flight For Control, to him, and his airline.... Coastal Airways. Daniel was a previous Friday Flyer and how much fun it is to see photos of him as a little kid to the young man he has grown into. Click here to read more and see the change. Read about Daniel's dad here, and the legacy of the airline living on in the Sequim Valley Airport. And yet, the operation started with Jack Sallee, a Braniff captain who will be remembered always. Next month is aviation month and what a better way to end October than celebrating a legacy of fliers and their accomplishments. Daniel, your entire family is proud of you and I know Grandpa is on the top of the list! 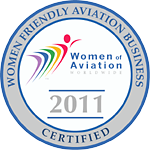 I have signed up to take the first of my FAA certification exams in just 10 shorts weeks (eeep!) so expect more of these techtalk posts as I work through the material I need to have down cold for my exams. A word about those exams. There are three sections to the exams, two of which are attached to licenses. The sections are General, Airframe, and Powerplant. Within the three sections there is one written test, one oral and one practical. Generally one takes the General exams at the same time as the first license exam. For me, this means I’ll take General and Powerplant on the same day. Again, eeeep! Now, on to propellers. I will confess that until about a week ago, I had inadequate respect for propellers. Sure, I thought they were OK, but I hadn’t really reckoned just how important they are and how hard they work, nor did I know how efficient they are. Now I know – propellers are awesome. Propellers work by essentially screwing themselves through the air (snerk). They spin against the air then push it over their blades (which are essentially wings), and then behind them, producing thrust. I find it helps to think about a propeller moving itself through a solid, to get a good sense of what they do. 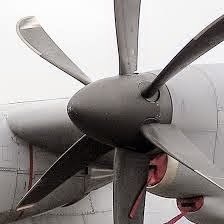 When a propeller’s blades are more or less parallel to the plane of rotation (think flat) they can move easily through the air, taking a smaller “bite” out of the air, but providing quick “pickup.” This angle is used for takeoff where you need to get up to speed in a hurry. It’s similar to the first or second gear of a car – good to get going, but not good for cruising. Here's a good example of propellers at low pitch. When the blades are pivoted so they’re closer to perpendicular to the plane of rotation, they take a bigger “bite” of air, which is good for cruising, but would require the plane to have a really long runway to get up to speed at takeoff. And, high pitch. These are probably feathered, which is a whole other thing, but they make it easy to see high pitch. 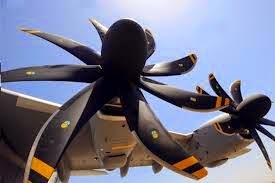 Because of this most modern propellers have the ability to vary pitch according to the phase of flight. Believe it or not, in the old days planes were made with several different propellers which would be swapped in and out on the ground according to runway length and expected flight parameters. This was a pretty clunky solution, so the variable pitch propellers were a huge improvement. Propellers are about 90% efficient and are much more efficient than pure jet engines, which just explode fuel to get where they’re going. When I learned how efficient props are, I wondered why we even have jet aircraft, if propellers are so great. There are several reasons. One is that while propellers are extremely efficient, reciprocating engines are horribly inefficient. Shamefully inefficient. Many propeller aircraft are also recips, so they’re not very efficient overall. If we all flew around on reciprocating prop planes we wouldn’t be able to afford to fly more than a few times per lifetime. The efficiency problem is solved by turboprop aircraft, which use a turbine to turn the propellers. Turboprops are really, really efficient. So, when I go overseas, why don’t I fly there in a turboprop plane? It’s because despite the propeller's many good qualities, it can only go so fast. This is because when a propeller’s blades move through the air at near the speed of sound, shock waves build up on them and they lose all their amazingness and become clunky blades of failure and death. And because the tips of a propeller move much faster than the center (because they travel farther per revolution) they begin to approach the speed of sound much sooner than the rest of the aircraft. Hence the speed of the aircraft needs to remain at about 60% of the speed of sound (or, Mach .6 if you want to sound techy). Another type of engine takes advantage of propellers’ efficiency while raising the allowable speed: the turbofan. Turbofans are the type of engine that would carry you overseas. They have a turbine engine with a giant, many bladed propeller (fan) up front. To eliminate the speed problem, the fan is put inside a duct which slows the air down and also heats it. Hotter air increases the speed of sound inside the duct, allowing the aircraft to go faster without overspeeding the fans. Oh, and one more thing – because aviation is designed to be confusing – if you’re looking at an airplane from the front, the surface of the propeller facing you is the … propeller back. My exam is going to be so fun! The last week of October is rolling into November quicker than it should. I'm starting week eight in school and that means CRM and more experimental designs. Do you know what my team did in Statistics? We designed a study to allow computer usage for long haul pilots to create alertness at the end of a long day. I just arrived from Bejing yesterday. And after a 28+ hour day, I posted our finished assignment after some final touches. This week... homework, trick or treating, Austin, playing with the grandkids, and more homework. But today is about and invitation for you to become part of history. Is celebrating Aviation Month with a great list of aviation superstars. Tyson Rininger Aviation Photographer: What sets you Apart in Your Business? Jason Schappert Creative Solutions for Growing your Business. 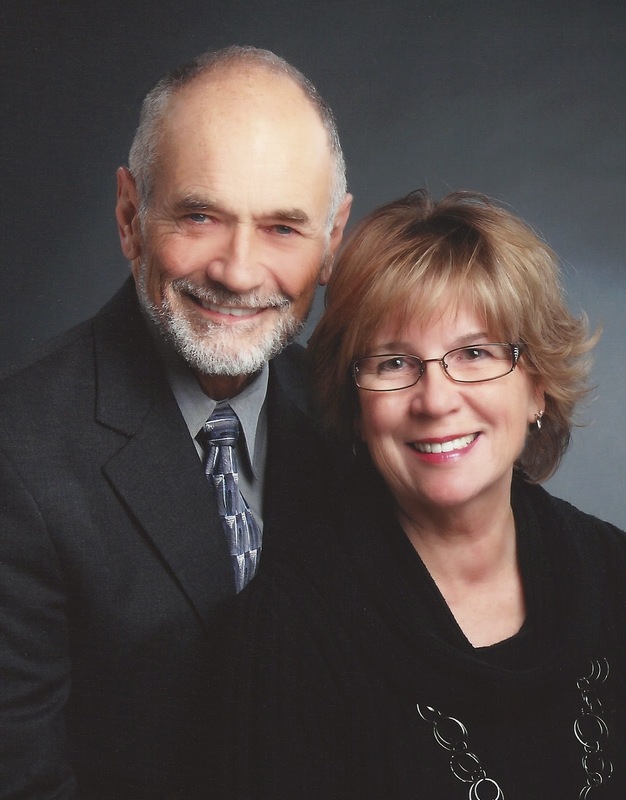 Wayne Gorsek Essential Ingredients for Creating a Successful Business. SkyVector Through Necessity, Brilliant businesses are Born. 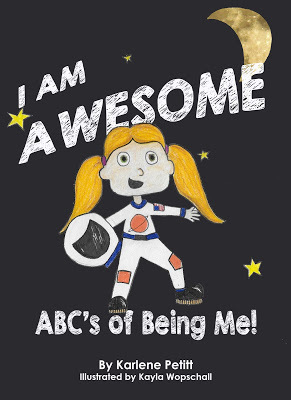 Angelo & Bianca of ‪#‎RoyalJets‬ Inc. - Stand out by Being Exceptional — with Jason Schappert and 3 others. If there is anything you would like us to talk about, leave a comment below! We'll be recording on the 5th! "I don't remember when, exactly, I first became enamored of airplanes. All I know for sure is that I was very young. In grade school I would stand on the back porch of my grandfather's house, in the Beachmont section of Revere, just north of Boston, watching the jets coming into Logan, logging the aircraft types and tail numbers. In the fifth grade I could tell you the difference between a 727-100 and a 727-200. And it was never just about airplanes or the act of flying. I love to fly, but it's the workings of the airlines -- the fuller, grander theater of commercial air travel in whole -- that has always enthralled me. As a kid, nothing bored me more than standing at an air show and watching the Thunderbirds or the Blue Angels do barrel rolls. Instead, I would sit up at night with colored pencils, sketching the logos and liveries of the world's great airlines, studying their timetables and route maps, memorizing the cities they flew to. This, in turn, turned me on to a love geography and travel. 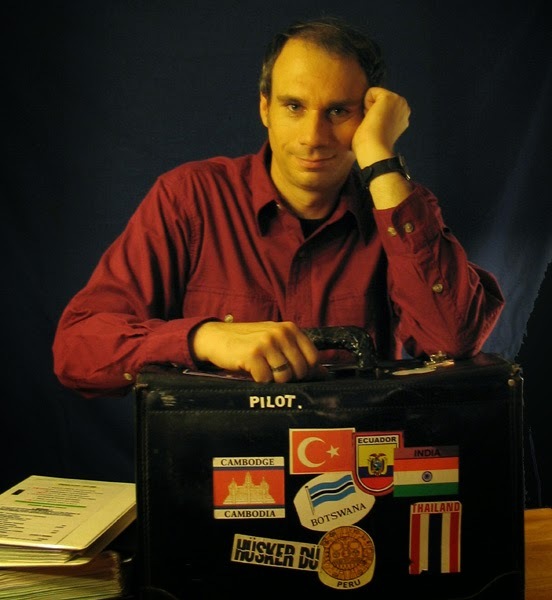 Later in life I went and visited places like Botswana and Cambodia and Sri Lanka, and while it might seem strange, it was my love of aviation that inspired this love of travel, and not the other way around. As I came to see it, the thrill of airplanes isn't just about flying, it's about where you're flying to. It's funny, because although I recall very little about my first flying lesson, I recall almost everything about my first ride on a jetliner. It was in April, 1974. The plane was an American Airlines 727. 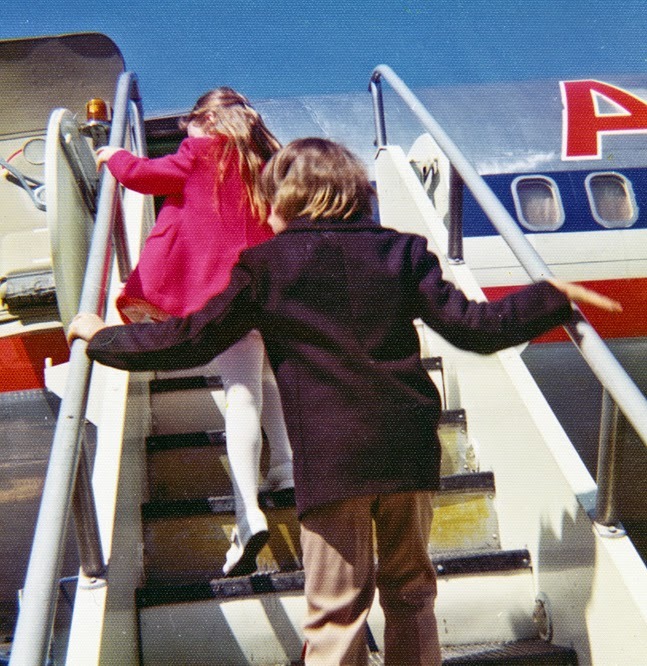 The photo below, snapped by my mother, shows my sister and I walking up the stairs to that plane. 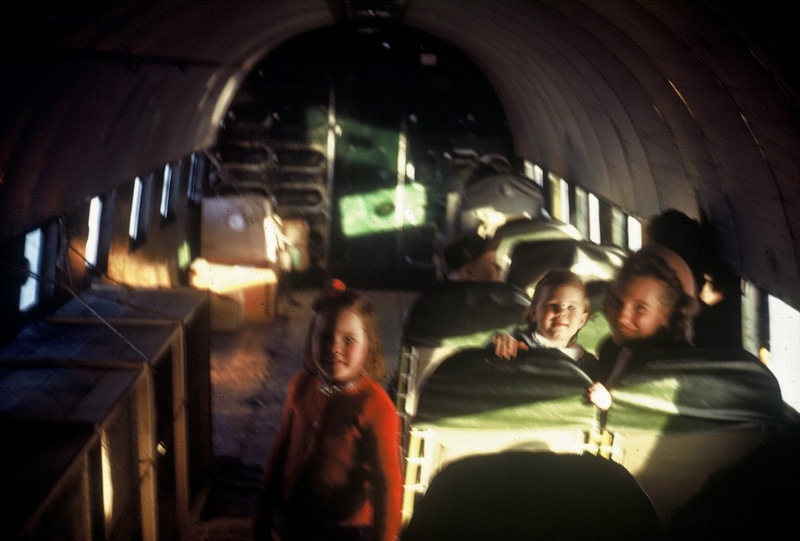 This was my first airplane ride of any kind. I remember the views of the Potomac and the National Cathedral; I remember the sandwiches they served, and the double helping of cheesecake for dessert (imagine that, on a 70-minute domestic flight!). 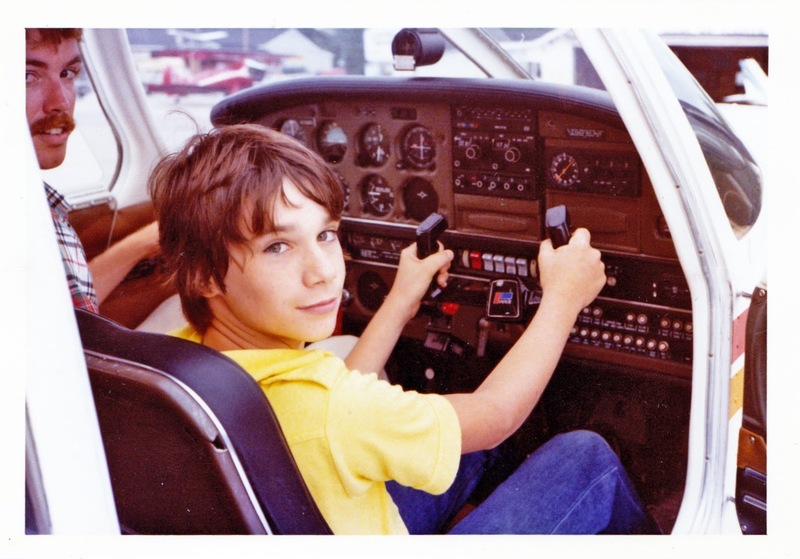 I look flying lessons as teenager, building up hours slowly and steadily -- unsteadily is more like it; family finances meant I had to start and stop several times -- before earning my private pilot's license in 1985, when I was nineteen. 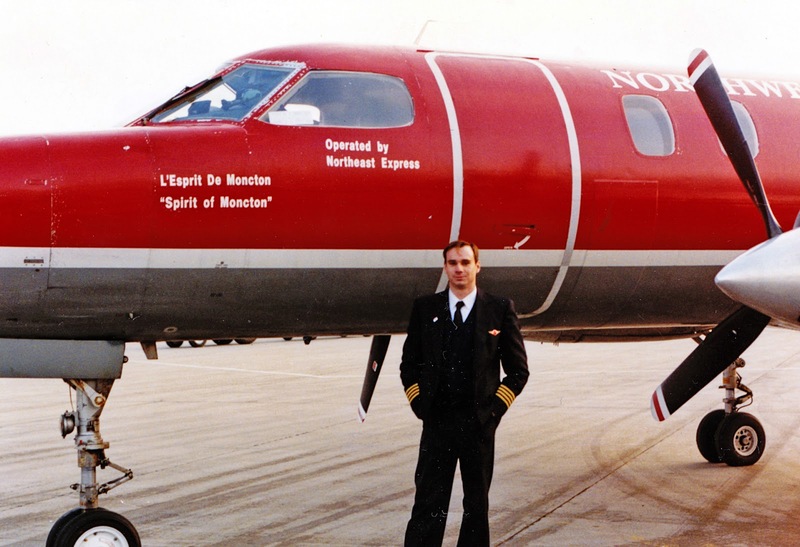 My first commercial job came in 1990, when I was hired as copilot on an old fifteen-seat turboprop, making less than a thousand dollars a month. Low wages were something I'd be well acquainted for a long, long time. 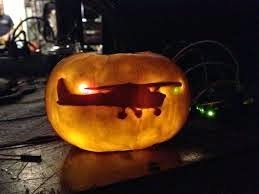 Pilots are pros when it comes to suffering for their art, that's for sure. I flew regional planes, then cargo jets, then finally passenger jets. Nowadays I'm a first officer on the 757 and 767 aircraft, flying both domestically and overseas. I make a good living, but it took a very long time. Similarly, the writing thing goes back quite a ways. Writing is something I'd always tinkered around with, strictly as a hobby, dating back to my teens and twenties. In the early and mid '80s I was big into punk rock, and at one I point I was the cowriter of a local "fanzine," as we used to call such endeavors -- a hand-stapled magazine full of album reviews, band interviews and the like (circulation 200). It was pretty amateur stuff, but if nothing else it kept my creative side engaged. 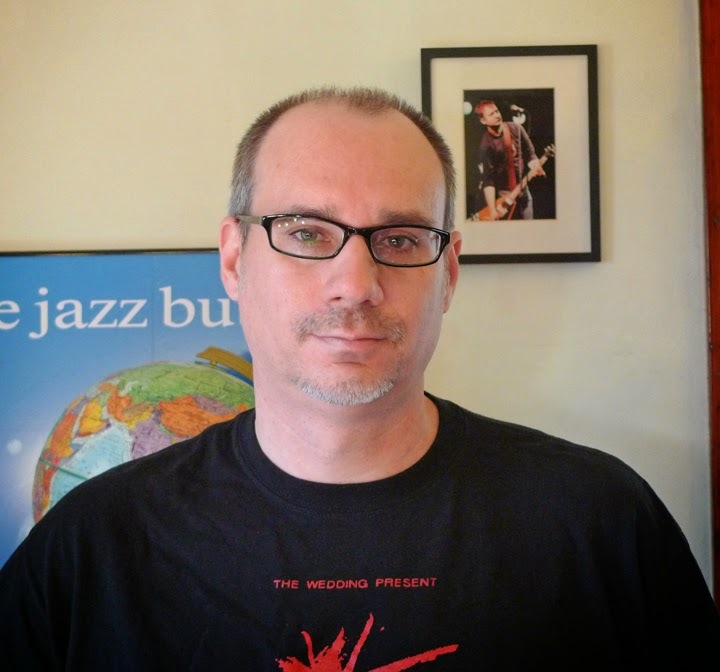 Later I wrote occasional music reviews for the Boston Globe, and self-published an embarrassingly bad "literary" magazine full of awful prose and poetry (mine, I mean). 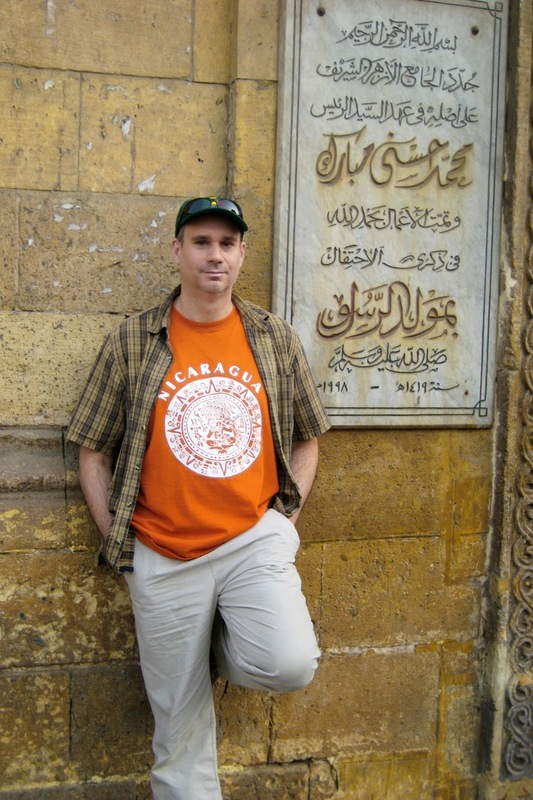 I never took writing all that seriously until 2001, when I was laid-off from the airlines after the 9/11 terror attacks. Poverty and desperation can be surprisingly influential. I suddenly had no income and needed to so something. What the heck, I thought: Here I had a lifetime's worth of knowledge about the flying business, together with a compulsion for writing. Meanwhile, never before had airplanes and the airlines been more front-and-center in the public consciousness. I hate to sound like a war profiteer, but it was a perfect storm of opportunity, in a lot of ways. The sobering challenges of unemployment combined with the public’s relentless focus on air travel compelled me to give it a try. And it worked. In November, 2001, I sold my first article -- a ranting critique of airport security -- to the website Salon.com. 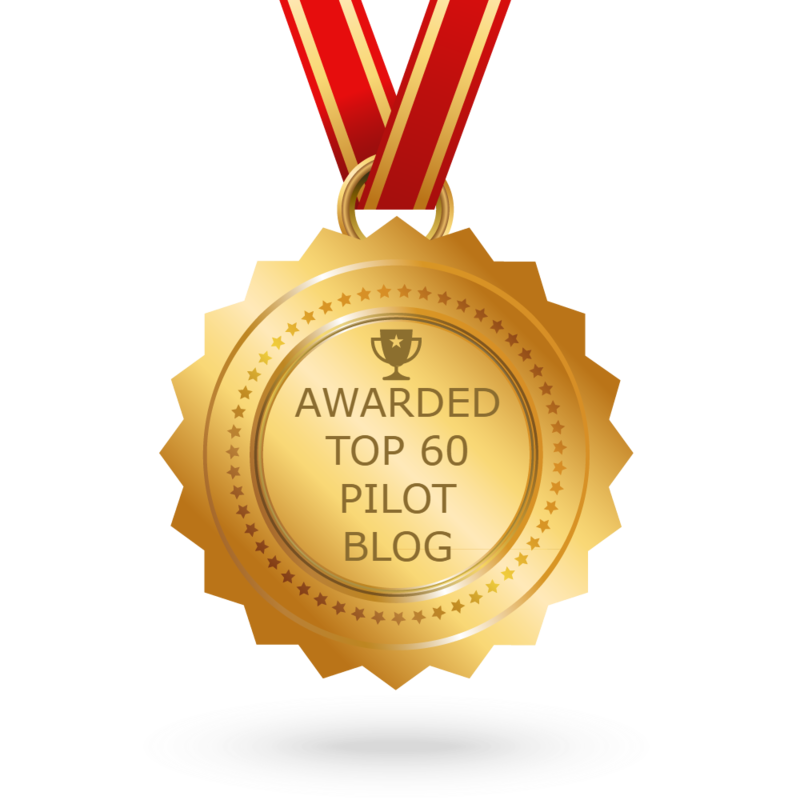 By the following summer I was writing a weekly column there, which one of the editors titled "Ask the Pilot." The column was immediately popular and remained a fixture on the site for ten years. Eventually I moved the entire enterprise over to my home page, www.askthepilot.com. 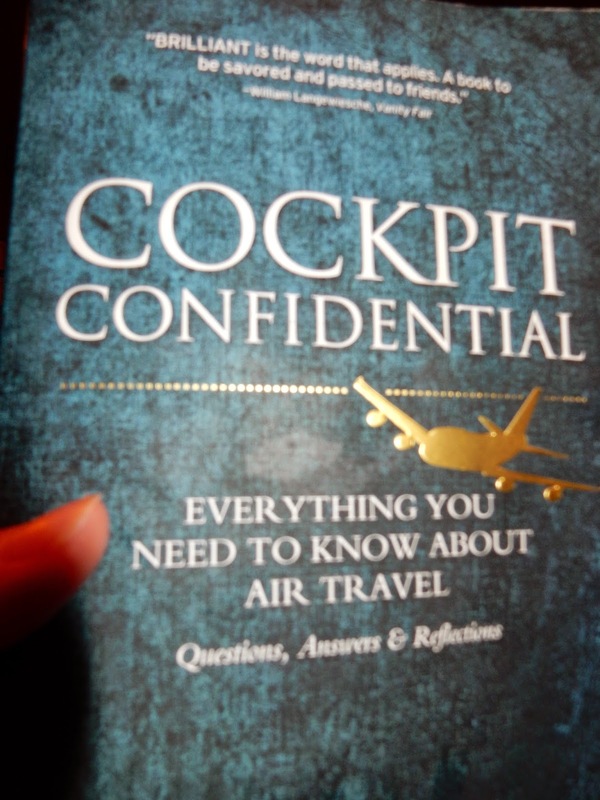 My book, Cockpit Confidential, was published last year and recently made the New York Times bestseller list. It's an outgrowth of the column and my website. It features the best of the online material, updated and expanded, together with lots of new material too. Each year a billion passengers fly aboard the largest U.S. carriers alone. Fair to say each one of them has a question, a complaint, or a lingering fear in the back of his or her mind. Meanwhile, commercial air travel is such a misunderstood realm, even for people who fly all the time. There are so many myths, urban legends, and just so much bad information out there. So much of what people think they know about flying is wrong. That, more than anything else, is the impetus behind my writing. At the same time, I have always tried make air travel compelling in ways that people don’t necessarily expect. 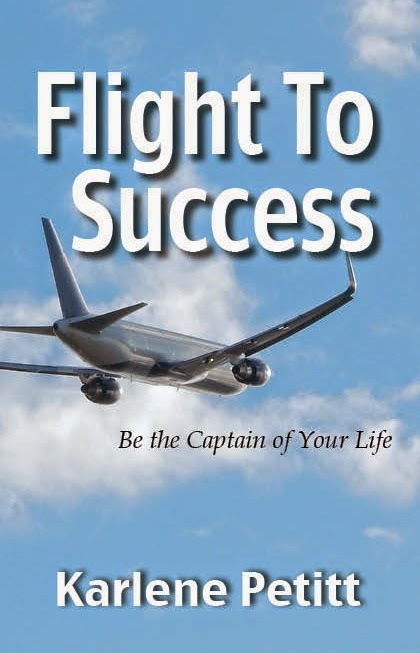 I can give you plenty of insights into the usual concerns about turbulence, pilot training, and how planes fly, but what I most enjoy highlighting are the more curious and nuanced aspects of the business, be it a look at airport architecture, a critique of airline livery design, or a personal tangent into culture and travel. I'm also throwback, maybe, in the sense that I still see planes as a way of bridging people, cultures and continents. I want people to feel informed and more secure, but also rejuvenated about the idea of flying. I'd never have traipsed off to seventy countries if I hadn't fallen in love with airplanes first, and I hope others can learn to see the airplane as intrinsic to the act of travel and not merely an inconvenient means to an end. A tough sell, I know. The book is informational, of course, but also thoughtful, funny, and reflective. 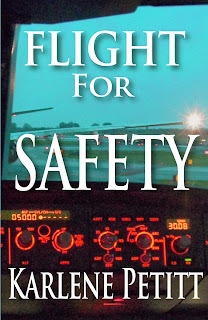 I didn't want to sound like a pilot, and I tried very hard to write a book about flying -- if we can call it that -- that was noticeably different from past attempts both in tone and scope. The questions-and-answers sections are obviously the meat of it, but they're blended with essays, sidebars and memoir, and it's the latter that are probably the book's strongest parts. If you ask me, the most entertaining and best-written part of the whole thing is the airline livery critique in chapter seven. 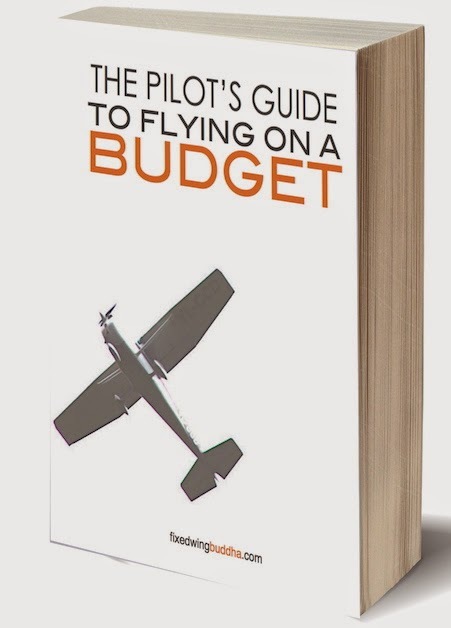 I don't write specifically for nervous flyers, airplane hobbyists, or for those who already have a vested interest in commercial aviation (much as those people enjoy my work and find it helpful). 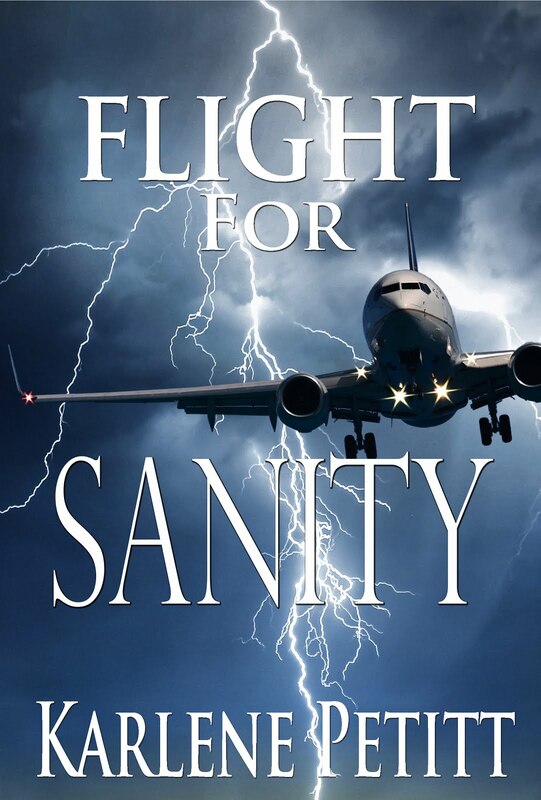 I'm writing for everybody who flies -- which nowadays means just about everybody -- and my topic is the grand theater of air travel: planes, pilots, airlines and airports: everything that makes it hum." Another in my occasional series demystifying the inner workings of airplanes. 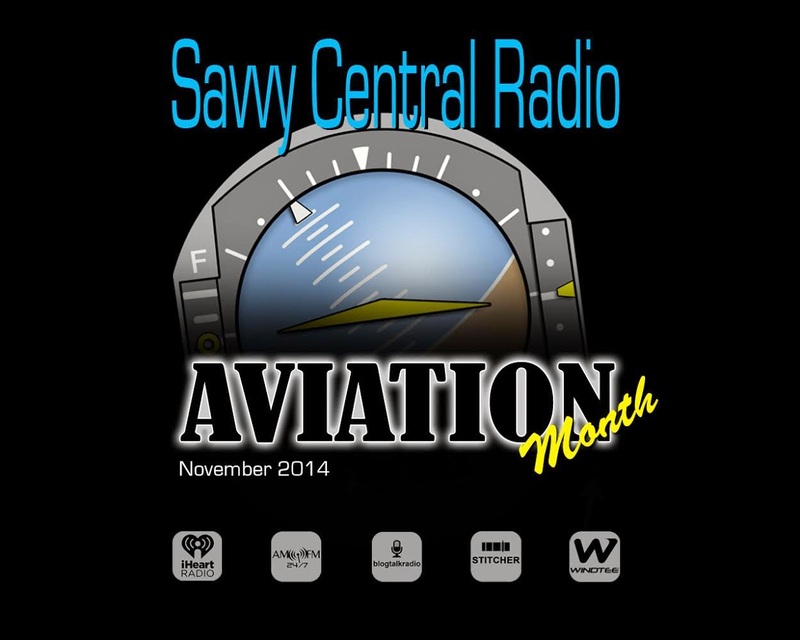 This week – cabin pressurization. As most people know, modern passenger planes are usually propelled by turbine engines, and usually fly at around 35,000 feet. As we go up in altitude the air becomes progressively less dense. What we Earthlings call “air” is about 78% nitrogen, 21% oxygen and 1% other stuff. As the air becomes less dense there simply aren’t enough oxygen molecules to support life. So, the air inside the plane needs to be pressurized. So, what does this all mean? Earth’s atmosphere always contains roughly the same ratio of nitrogen, oxygen and trace other elements. At higher altitudes there is just less of everything. So, if you take the air that’s at 35,000 feet and squeeeeeze it together, you get – air that’s very similar to the air at lower altitudes. Pressurization allows us to fly at high altitudes, breathing the air that’s up there – it has simply been squeezed together. Unless something goes wrong, we don’t need supplemental oxygen (although, to reassure everyone, EASA and the FAA have very specific rules about provisions for supplemental oxygen for passengers and crew – exact requirements depend on how high the plane will be flown, but there will always be supplemental oxygen if it’s needed). Back in the 1920s the US Army designed a pressurized vessel made to go inside the cockpit of a reciprocating engine airplane. The idea was that the pilot would be inside this small oval steel tank and would look out through a glass port. The controls were inside the tank and there was a manual exhaust valve so pressure could be controlled. It sounds very cumbersome, and while the whole setup flew once, it never caught on, but it was the forerunner to today’s pressurized airplanes. By 1940 the Boeing 307B was put into service with the first fully pressurized cabin. Today all turbine aircraft and some reciprocating engine aircraft have pressurized cabins. How does it work? 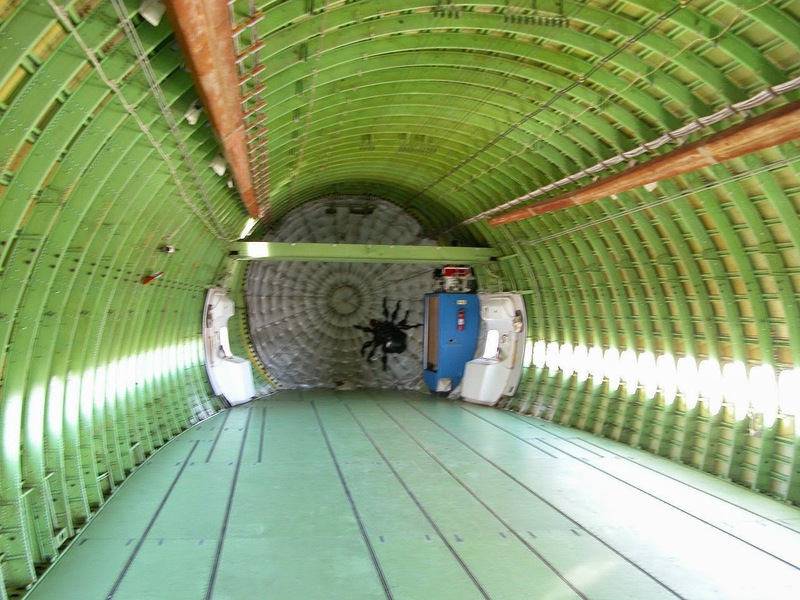 First of all, most of the space inside the airplane is contained within the pressure vessel. At the fore and aft ends of the plane there are bulkheads that are strong enough to withstand the pressure differential between the outside and inside when the plane is pressurized. Below is a picture of the aft pressure bulkhead, so you can get a sense of what it looks like and what it does. Note that the stuffed spider is an anomaly! Once the interior is sealed off, we need a source of pressurized air. On turbine-engine aircraft, this comes from the engine compressors – it’s called bleed air and it’s bled off the compressors for a variety of purposes, including pressurization. On some planes, the air comes straight from the engine into the cabin and on some it is then routed to a specialized compressor which then compresses the air fort the cabin. But wait, what about that pressure vessel? Can it contain infinite pressure? No, it can’t. For this reason, all aircraft have a maximum ratio of inside pressure to outside pressure. The cabin is pressurized to a predetermined altitude, then maintained by an outflow valve that opens and closes as needed to maintain that altitude. If it reaches the maximum inside/outside pressure ratio the outflow valve will open and close to keep it at or below that ratio and mitigate stress on the fuselage. The pressure is measured as cabin altitude because the air is pressurized to the density of a lower altitude – for most aircraft it’s about 8,000 feet, but the 787 Dreamliner can maintain an density altitude of about 6,000 feet. But, but … what happens when the sealed, pressurized plane lands at sea level? Won’t the higher pressure outside crush the fuselage? It would if that were allowed to happen, but modern aircraft have automatic pressure management systems that lower the pressure inside the pressure vessel as the plane descends. And if that system were to fail, all pressurized planes have a negative pressure relief valve that’s forced open if outside pressure is greater than the inside pressure. Once it’s opened, pressure equalizes between the inside and outside. 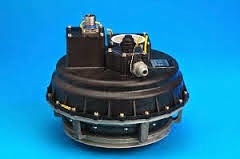 And, lastly, there’s a dump valve that can be used in flight to clear the cabin of smoke or fumes. 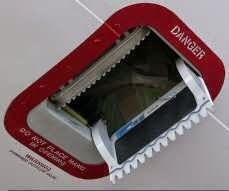 This valve is also activated on the ground by a switch on the landing gear, called the squat switch, to keep the cabin from accidentally being pressurized while on the ground, since this would cause unnecessary stress on the fuselage. And keep that mind expanding..
Last week gave me Monday and Tuesday to catch up. Which was much needed. There is a reason we have children when we're young. Wednesday I flew to NRT with a great crew. Which I felt a bit guilty slam clicking...but I was so very tired and had homework. 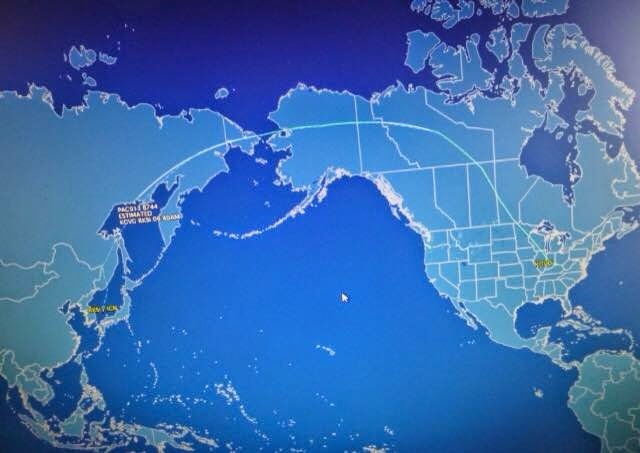 The flight back to Seattle on Friday was with a Captain I had worked the panel for on the freighter. So much fun catching up! The skies were just beautiful as was the flight. Friday I landed in Seattle, and that evening found me at the Bridge of Hope event. My girlfriend Geri Jeffery, (Formerly Geri Brown when we were in high school) has been giving her time, energy and life to helping others. She and her husband Mike hosted a spectacular event. The evening reminded me how fortunate we are, and how many blessings we have to be thankful for. Those kids in Sierra Leone are faced with some pretty horrific life challenges. Sierra Leone is the poorest countries in the world and the Bridge of Hope is giving the gift of education, the hope for a future, medical and dental attention, and faith. To learn more about Bridge of Hope... click HERE. the right and left wingmen are? Saturday was more catching up on life and a walk with the hubby. After the rain all day, the evening was beautiful. We headed out, but then returned to grab my camera. So glad I did. Sunday I met JR... The One Million Mile Passenger... as he was in town and came for dinner. A great break from homework. Today I will be spending the afternoon with granddaughter miss Kohyn to celebrate her 4th birthday. Our birthday date delayed. And I think I might be flying to NRT/TPE/NRT/ SEA beginning Tuesday. But we'll see, as I'm on reserve. Have a great week everyone! And remember to enjoy every moment! 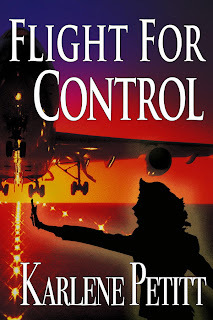 Thank you so much for reading and sharing my novels Flight For Control and Flight For Safety with your friends. If you haven't left a comment on Amazon, please do so. It helps so very much! "By Alaska standards my bio is unremarkable; born in Seattle just prior to WWII where my Dad had worked in the “Little Red Barn” and was later in charge of the B-17 Handbook Unit at Boeing. Living in a seaport town, my interest in seafaring developed at an early age. 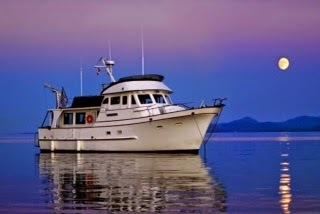 At 15, a deckhand/mate job opened up in a 136’ converted minesweeper running to British Columbia and Alaska for Marine Medical Missions – (I also met my future wife, Carol, on this vessel). 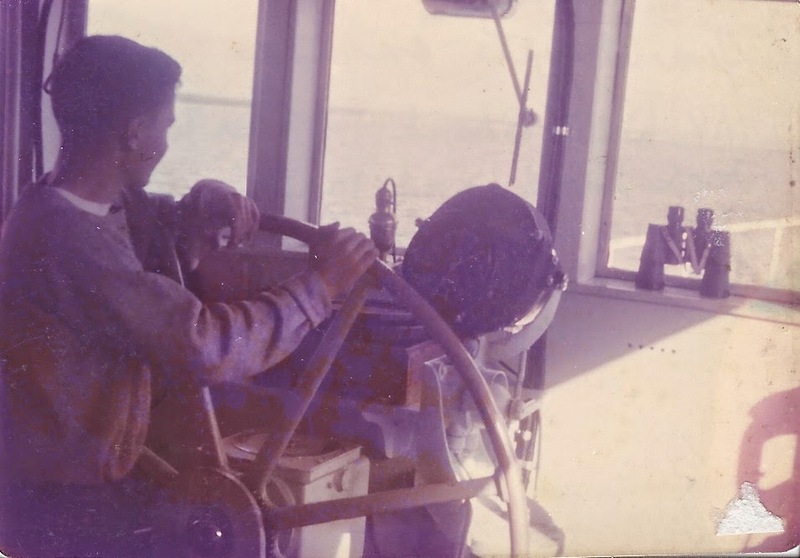 After completing high school, California Maritime Academy offered me the opportunity to attend and graduate with a license as 3rd Mate of Ocean Steam & Motor Vessels – Any Gross Tons and a BS in Marine Transportation. 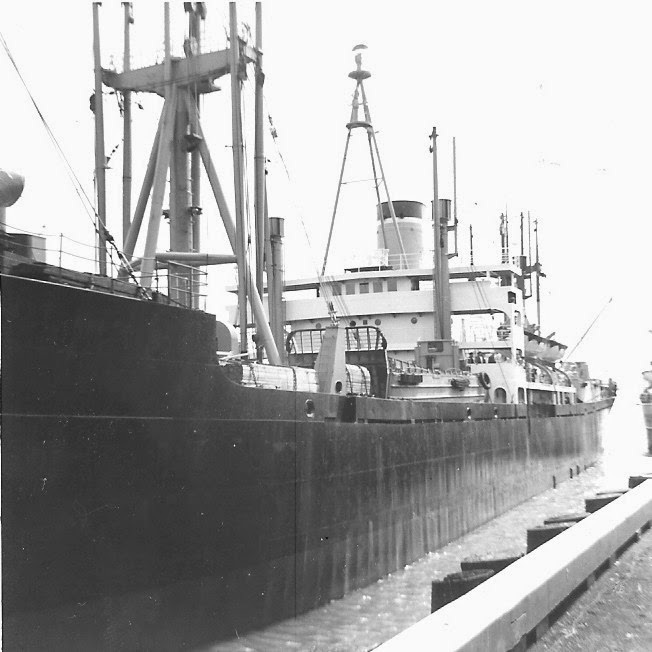 This was followed by tug boating jobs to Alaska before being commissioned in the US Army to manage and operate harbor craft in Ft. Eustis, VA and Pusan Korea. The Korea part was an unaccompanied tour that coincided with our first year of marriage. 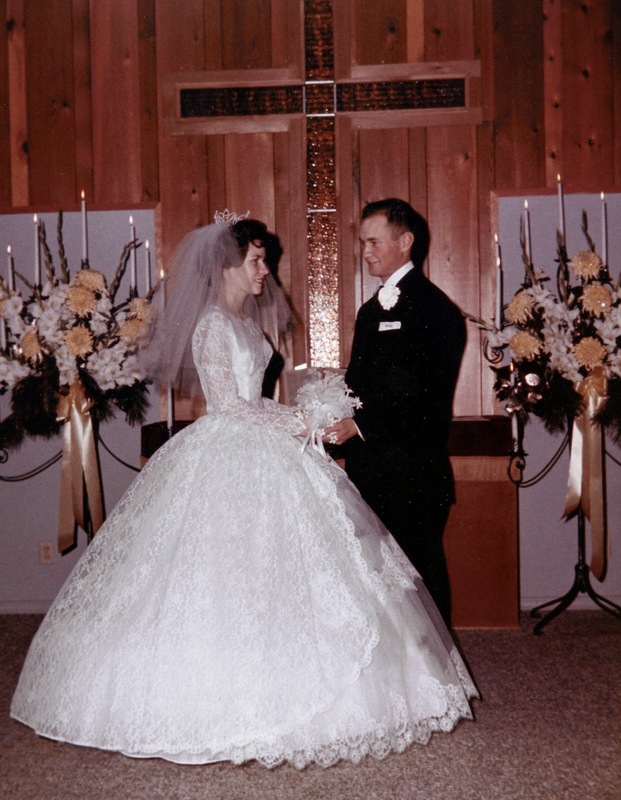 This year we will have been married 51 years with 3 children, 8 grandchildren and 3 great-grandchildren; one grandchild is now taking flying lessons and aspires to be an airline pilot. After completing active duty, I went back to sea as a deck officer in break-bulk cargo and container vessels, mostly in the Alaska trade. These jobs gave me the opportunity to accumulate Alaska and Puget Sound pilotage and raise my license to Master of Ocean Steam & Motor Vessels of Any Gross Tons. Prior to the completion of the Trans-Alaska Pipeline terminal in Valdez, Southwest Alaska Pilots Association found themselves short of pilots and invited me to join their group. After accepting their invitation we moved our family to Homer, Alaska then later to Anchorage. The next 30 years were spent piloting vessels of every size and description from 300 DWT (Deadweight Tons) trampers to 270,000 DWT VLCC’s (Very Large Crude Carriers) in and out of Alaska ports from Icy Bay in the Gulf of Alaska to Kotzebue Sound and ports in the Arctic – most of our work was in Cook Inlet, Prince William Sound including Valdez, Dutch Harbor and the Kodiak Island Group. So, what does a Harbor Pilot do? 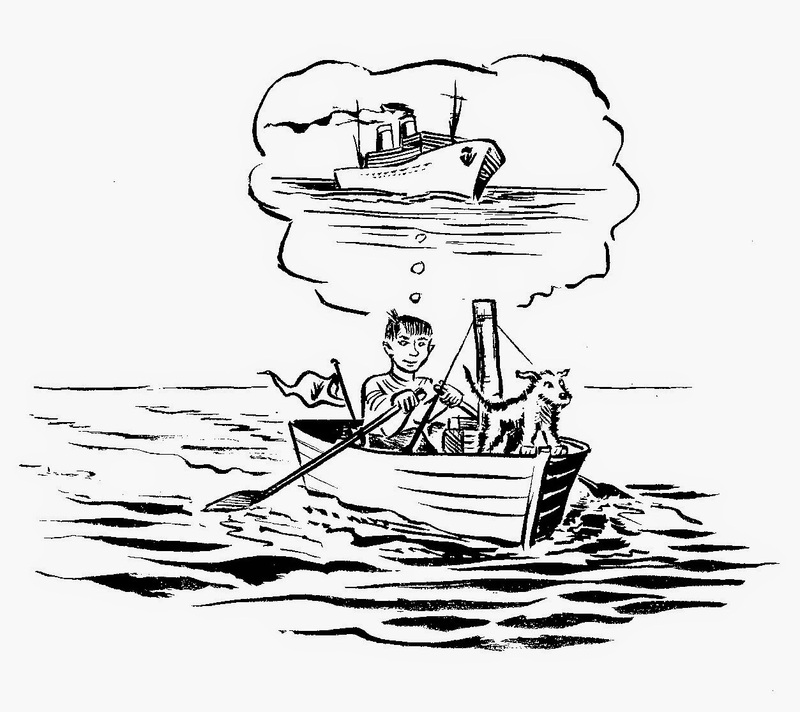 The simple answer – Pilots travel to a “Pilot Station” in small boats, occasionally under difficult conditions. The photo was taken at the Bligh Reef Pilot Station and could be subtitled, “Why old pilots retire”. 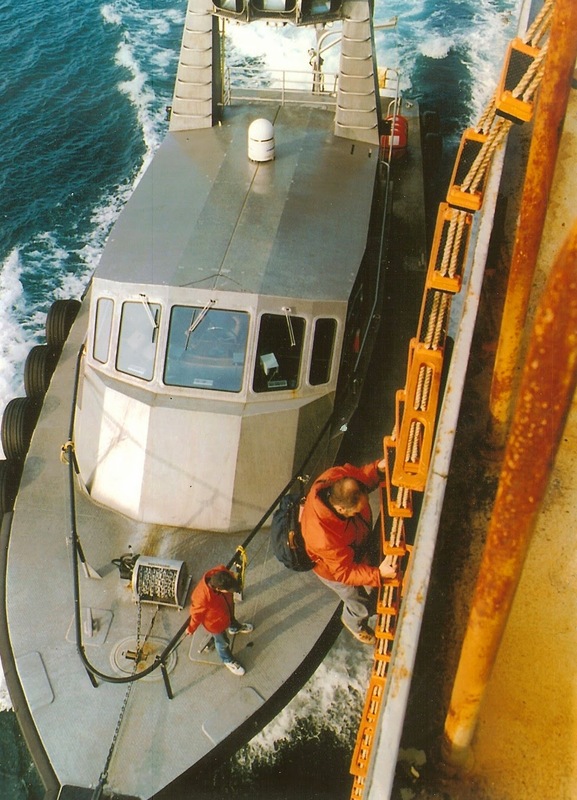 Once the pilot boat is alongside the ship the Pilot boards by means of a rope-ladder and takes navigational control of the vessel. “Jim Dave R. Pilot Ladder"
This includes directing the conduct of the vessel by courses or rudder orders to the helmsman, engine orders to the mate, VHF orders to assist-tugs (if tugs are available), handling communications with VTS and/or other traffic and directing line handling and/or use of the anchor. The relationship between the Master and Pilot is quite unique. While the Master remains in command of the vessel, the State Licensed Pilot has navigational control. When the vessel is ready to sail the pilot takes her back to sea and disembarks at the Pilot Station. Boarding and disembarking are nearly always done underway. Travel to and from the job for an Alaska harbor pilot often involves flying in charter aircraft both on floats and wheels but mostly on floats. Since float planes typically are not IFR certified, much of our flying is done in MVFR conditions. The definition of the term “MVFR” often seemed to be related to the urgency of the job. A now retired UAL Captain and former Pan Am pilot, who we’ve become close friends with, warned Carol that “getting there was the most dangerous part of my job”. He was proved correct when a 206 on floats taking me, a fellow pilot, and a trainee to a passenger ship job in Prince William Sound went down in Portage Pass in bad weather. Following this incident (now some 8 years ago) Carol saw her chance to convince me to retire. Retirement has opened up consulting work instructing “Bridge Resource Management for Pilots” and evaluating pilotage candidates at simulator facilities in Seattle and Seward. Various other Simulator assignments with pilot groups have provided a venue for interesting “Automation Dependence” discussions. Relating “Automation Dependence” examples from aviation to the maritime setting has provided good feedback from pilots in simulator and classroom sessions. Boating has been a part of our family’s life for many years and has provided opportunities to pass on life’s lessons to our kids, grandkids and great-grandkids – often a challenge. 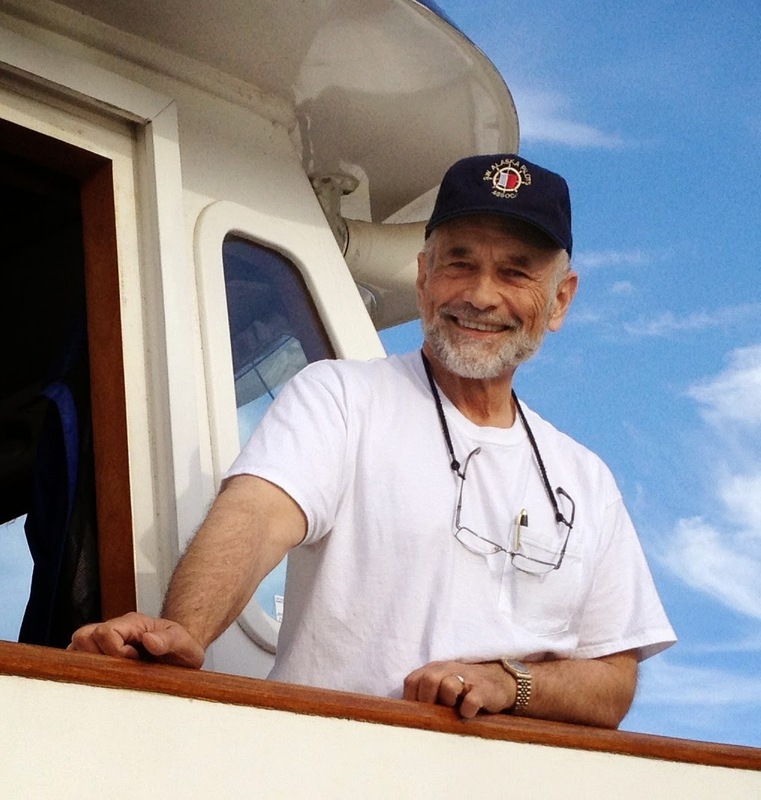 We have taken our current boat, “Cape Fairweather”, several times through the Inside Passage to SE Alaska and revisited places from my early days in the Alaska trade. 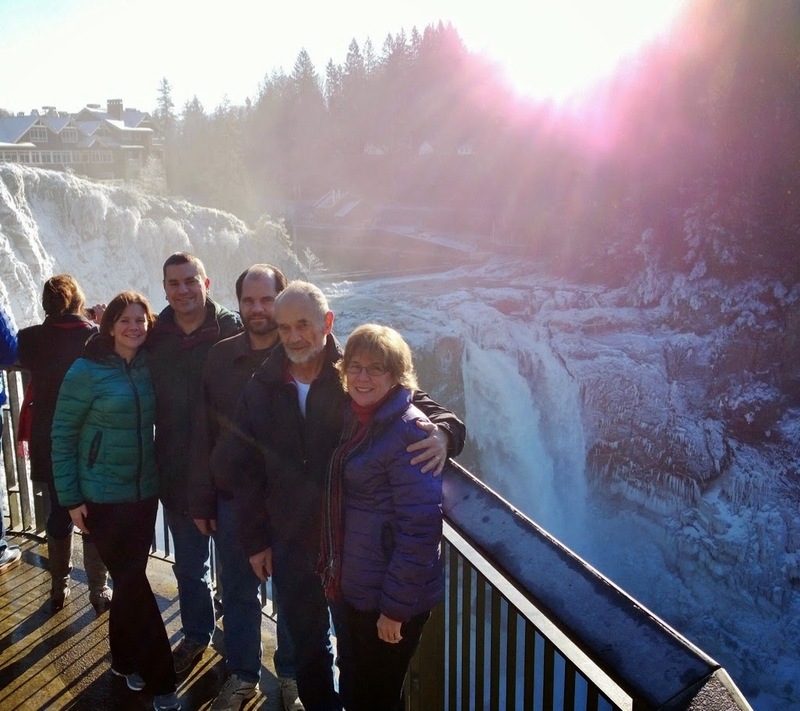 Carol was raised in SE Alaska and still has friends and family members in the Ketchikan area. 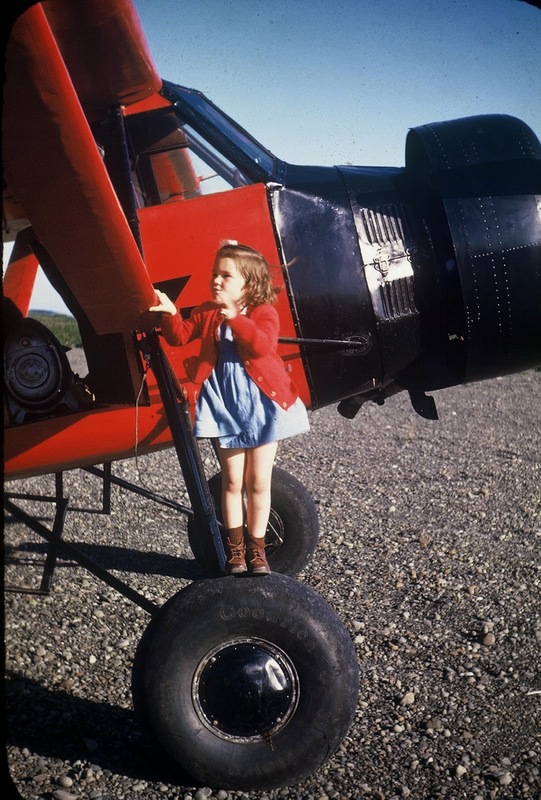 Carol’s parents originally moved to Cape Yakataga, Alaska, 1n 1947 where her dad worked for the CAA (FAA now). This experience brought them in contact with many of Alaska’s early bush pilots including “Mudhole Smith”, who’s company later mutated into Alaska Airlines. 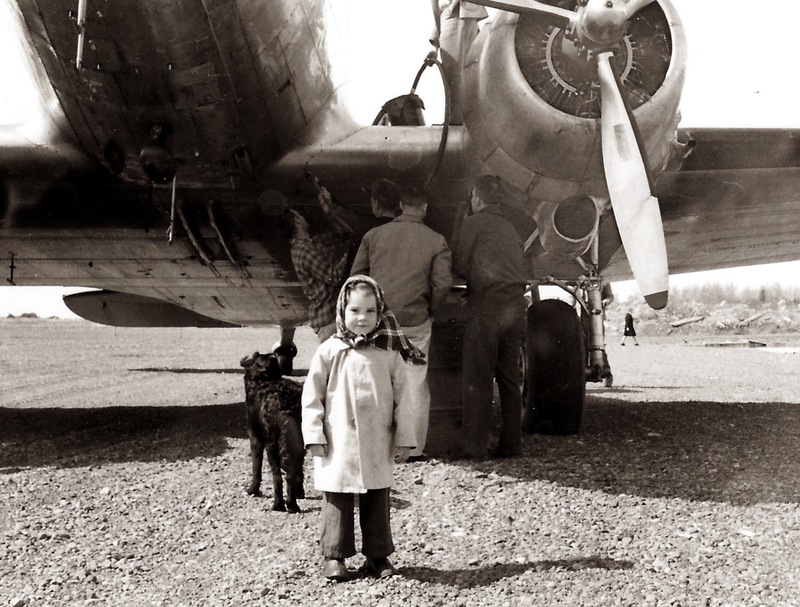 When her Dad transferred to Annette Island (a major refueling stop in SE Alaska) Carol commuted to high school in Ketchikan with Ellis Airlines and worked summers in the Pan Am Terminal coffee shop. Here she served coffee and donuts to many interesting people including Charles Lindberg who often passed through as Vice President of Pan Am. Her brother still lives in Ketchikan and has served many years with the Air Search & Rescue Unit. His aviation stories reinforce the hazards of flying in Alaska. 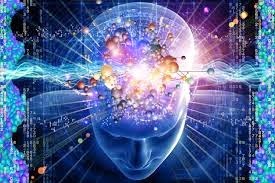 Jim contacted me a month or so ago with a question about automation taking over the oceans as well as the skies. He had a question about the video the Children of the Magenta...wondering if there was a more current version out there. After you leave a comment, check out his concerns on Automated into Mediocrity, if you haven't yet. 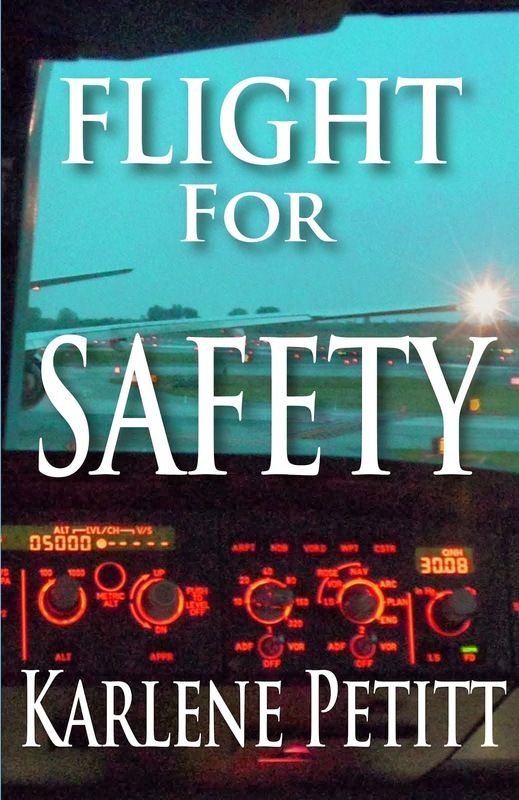 Mark Berney is a pilot...but not just any pilot... he is what GA and the world needs. Over in Bremerton, WA, Mark has been hosting flying events for Foster kids and making a difference in lives of so many on so many levels. He's keeping aviation alive and inspiring the kids. A warm mid-July marked the second annual TRAC airlift held at the Bremerton National Airport. 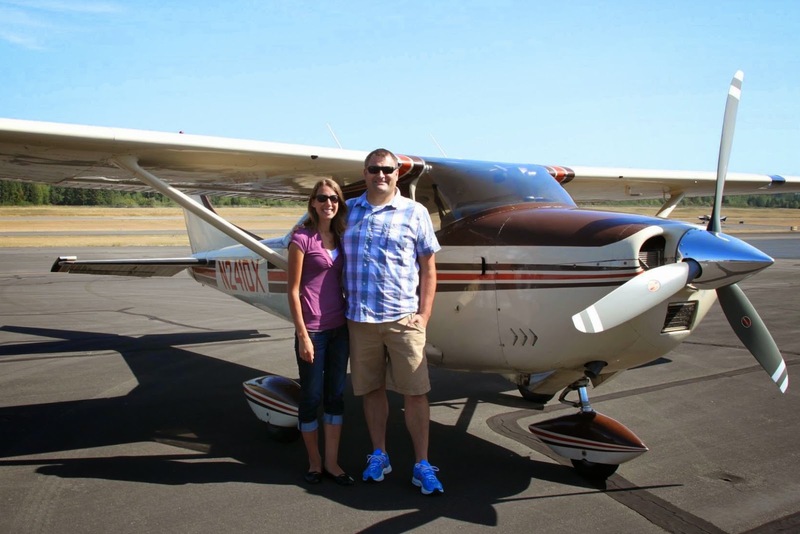 The Kitsap Aviation Squadron again hosted the event, flying 17 campers and 18 staff personnel on scenic flights around the Kitsap peninsula. Our Squadron, with 30 flying members, operates a pair of Cessna aircraft. Eight pilots donated their expertise and time to fly the campers this year. Teen Reach Adventure Camp, or TRAC, is a three day camp program that pulls in foster care teenagers from the local community. The camp is held on two consecutive summer weekends, the first for girls and the second for boys. Run by volunteers, TRAC provides fellowship, games and other adventures for the campers. The waterfront town of Indianola served as home base, but before the kids arrived to set up camp, they took a trip to the airport for a chance to spread their wings! After a welcome and a safety briefing, it was time to fly! Pilots Val Tollefeson and Steve Jennings were lined up to operate the 172, while Steve Charboneau would start off in the 182, with a planned hand-off to Terry Bryant mid-way through the event. Val got off the ground first and headed North with a camper and two counselors aboard. Steve, along with a camper and a staff member, was just getting airborne when he detected a vibration he didn’t like. Checking the engine monitor revealed a lack of EGT on one cylinder and he wisely choose to return to the field. Unfortunately the 182 would be scratched for the remainder of the day. Steve’s young passenger, however, was unphased by the quick trip around the pattern and was “good-to-go” for a full flight later in the day. Fortunately, 172 operations rolled along smoothly. Val completed two flights, and handed the aircraft off to Terry for a couple flights. Steve Jennings finished the day with a single flight in the 172. In all, we completed six of a planned eight flights. Despite the setback, all campers that wanted to fly got up, including the young lady from the shortened 182 flight! One week later, we did it all again for the boy’s camp. The 182 was back on line, and both aircraft performed well. David Brenegan and Grant Blackinton staffed the 172, while Jay Villalva and Don Dicksion piloted the 182. Both planes got up and down smoothly all afternoon and eight flights were dispatched without a hitch. This summer’s kids were a mix of brand new and slightly more seasoned fliers. It was a wonderful thing to be a part of a young person’s first flight experience. Seeing a few returning kids that now have a bit of a “long term” relationship with the Bremerton Airport, our pilots, and our aircraft was quite rewarding, as well. It was a great privilege to be involved in these kid’s lives through this brief, but very special event. A huge thanks is due to Bremerton National Airport director Fred Salisbury and his staff. They were not only supportive of this mission, but downright enthusiastic to have the kids back for a second year. And finally, thanks again to our eight pilots that made this happen!